In September 2015, the Federal government announced the offer of an additional 12,000 humanitarian places for people displaced by the conflict in Syria & Iraq. In response to this announcement local health and social support services across the outer northern growth corridor of Melbourne formed the Outer Northern Refugee Health Network (ONRHN) under the auspice of the Hume Whittlesea Primary Care Partnership (HWPCP). The ONRHN acts as a catchment based platform, with over thirty organisations (listed below) formally registered as members and providers of health and social supports to refugees and asylum seekers in the outer north. The HWPCP invites other organisations who play a key role in both the co-design and delivery of timely and quality refugee focused support services to join the ONRHN. Together we can be part of a strong and solution-focused collaborative that aims to support the complex needs of arriving refugees in the outer northern interface corridor of Melbourne. The Outer Northern Refugee Health Network members are strongly committed to supporting refugee and asylum seekers to access quality health and social services so that they can settle and thrive in local communities. Given the value of the Outer Northern Refugee Health Network in improving responses to refugees, and the ongoing need for these services in the community it was timely for the ONRHN to develop a strategic plan to assist member organisations to prioritise their joint activities over the next three years (2018-2021). 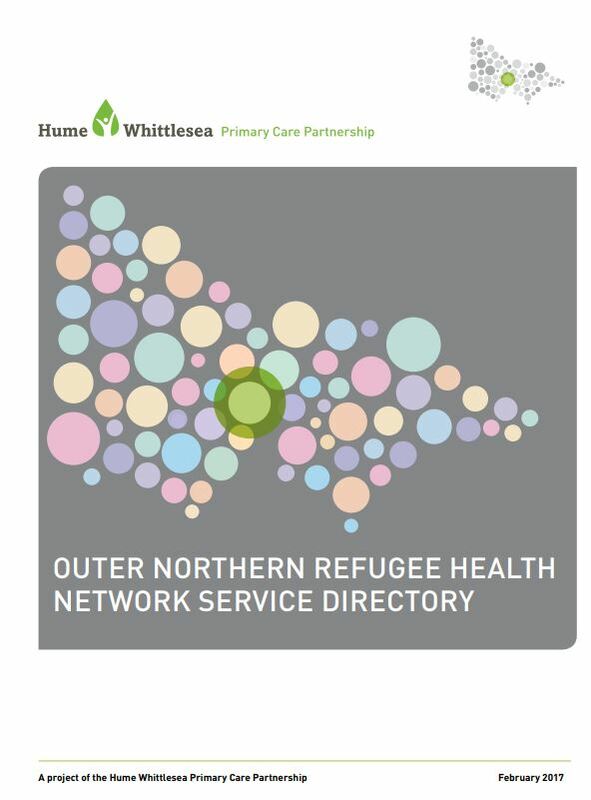 A key initiative of the network is the development of the Outer Northern Refugee Health Network Service Directory. It has been designed for Health Care Professionals to give easy access, accessible information on services and be a quick reference guide for refugee and asylum seekers services. Click on the image to download the latest version. The first issue of the Hume Whittlesea Primary Care Partnership and Outer Northern Refugee Health Network Data Bulletin is now available. The Data Bulletin is useful for service providers to use for service planning and funding opportunities. It will be updated and published quarterly. As a significant growth corridor, planning and service delivery by local services in the outer north catchment, is best achieved via a sustained cross-service partnership approach. 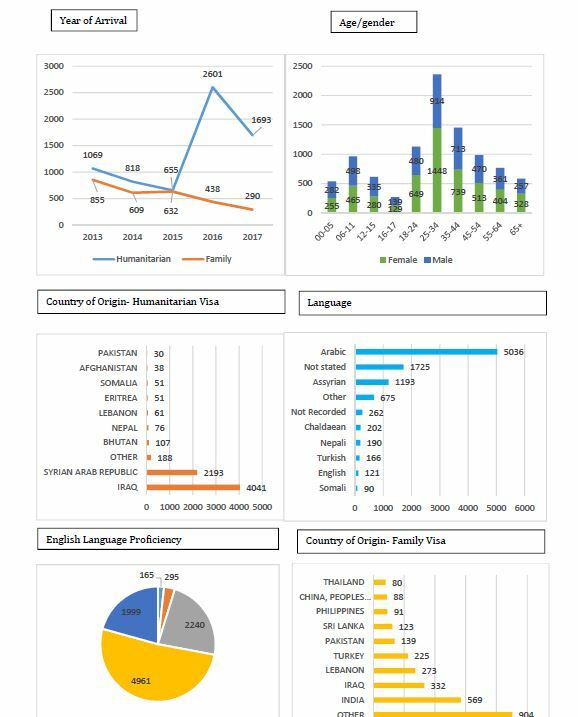 In order to support joint planning efforts between services, the HWPCP on behalf of the ONRHN membership, has developed a register of Refugee and Asylum seeker interagency networks currently operating in the catchment. This collated list aims to help services to better coordinate their planning and networking interests across a number of important forums relating to our emerging diverse communities. In addition, the HWPCP is committed to assisting these networks to work more effectively together particularly on joint projects and communication / information sharing thus reducing duplication and maximising collaborative effort and impact. The HWPCP is committed to progressing improved communication strategies for organisations and therefore will be responsible for keeping this document updated and available on the HWPCP website.